The Brand Inside (“We”) are committed to protecting and respecting your privacy. This policy sets out the basis on which any personal data we collect from you, or that you provide to us, will be processed by us. Please read the following carefully to understand our views and practices regarding your personal data and how we will treat it. 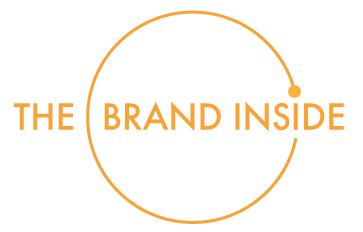 By visiting thebrandinsidecom you are accepting and consenting to the practices described in this policy. For the purpose of the Data Protection Act 1998 (the Act), the data controller is The Brand Inside of 16-18 Berners Street, London, W1T 3LN. Information you give us. You may give us information about you by filling in forms on our site thebrandinside.com (our site) or by corresponding with us by phone, e-mail or otherwise. This includes information you provide when you register to use our site, subscribe to our service, use our contact form, search for a product, participate in social media functions on our site, enter a competition, promotion or survey and when you report a problem with our site. The information you give us may include your name, address, e-mail address and phone number, financial and credit card information, personal description and photograph. Information about your visit, including the full Uniform Resource Locators (URL) clickstream to, through and from our site (including date and time); products you viewed or searched for; page response times, download errors, length of visits to certain pages, page interaction information (such as scrolling, clicks, and mouse-overs), and methods used to browse away from the page and any phone number used to call our contact numbers. We may share your personal information with any member of our group, which means our associates and any subsidiaries, as defined in section 1159 of the UK Companies Act 2006.